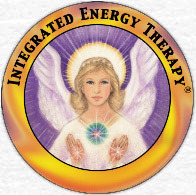 Integrated Energy Therapy® IET is an angelic energy that is combined and works with the meridians of the physical body. This combination of energy therapy promotes healing in a person's physical, mental, and emotional body to help a person dispel various illnesses such as depression, physical pain and emotional issues to name a few. As an IET practitioner, I will use the angelic energies to help unblock and rebalance a person's cellular memory in their body. During a treatment, the person will lay fully clothed on a massage table while the practitioner places their hands on them at different positions. The person receiving treatment may have different reactions with each treatment, i.e., feels sensations (tingling, hot/cold, vibrations), or feels emotions (sadness, anger, happy) or may feel nothing at all. Everyone needs healing of emotional and physical traumas. We live in a society of being busy, stressed, over-worked, no relaxation, and always on the go. It is time for people to slow down; take a look at their lives, breathe, and look within for peace and harmony. We recommend a person should receive regular treatments to keep you on a journey of being happy, well-balanced, and disease free. IET is one of the next generation - hands on - power energy therapy systems that gets the “issues out of your tissues” for good. • Increase in your ability to be an energy intuitive and “read” energy. • Methods to “esoterically dowse” and interpret the blockages in the human energy field. • Ability to do a "Soul Star" clearing to activate your soul's purpose. • Use of the Heartnet process to manifest your dream. • Use of the powerful energy wave technique to clear resistance. • Build Heartbeams to anchor angelic energy into the Earth. Remember an angel is always there"